Should High-Voltage Pool Lights Be Banned? A Florida father is pushing for new regulations regarding the high- voltage lights used in in-ground swimming pools. His campaign has its genesis in pain and sorrow – his 7-year old son, Calder, was electrocuted in the family’s pool last April when a faulty pool light connection electrified the water. Thus far, Chris Sloan has lobbied and convinced officials in Miami-Dade and Broward counties to ban the high-voltage pool lights. Now Florida legislators are taking up the cause by introducing two bills that will, if passed, mandate underwater electrical inspections every five years. How often do you think about the safety of a pool from the operational standpoint? For instance, if you take water therapy at a rehabilitation center; or if you swim at your condominium pool –these types of swimming areas currently are exempt from inspections in the state of Florida. Proponents of the bills are also pushing for a ban on any pool light stronger than 15 watts. The legislation asks that a warning about pool electrical systems be included in the contract before a residential pool is installed. The National Electrical Code (NEC) added swimming pools to their standards and regulations back in 1968. If you have an older pool, the NEC suggests having it retrofitted with a new ground fault circuit system. Ground Fault Circuit Interrupters are designed to interrupt the current of an electrical device that is malfunctioning, such as short in the lighting in your pool. 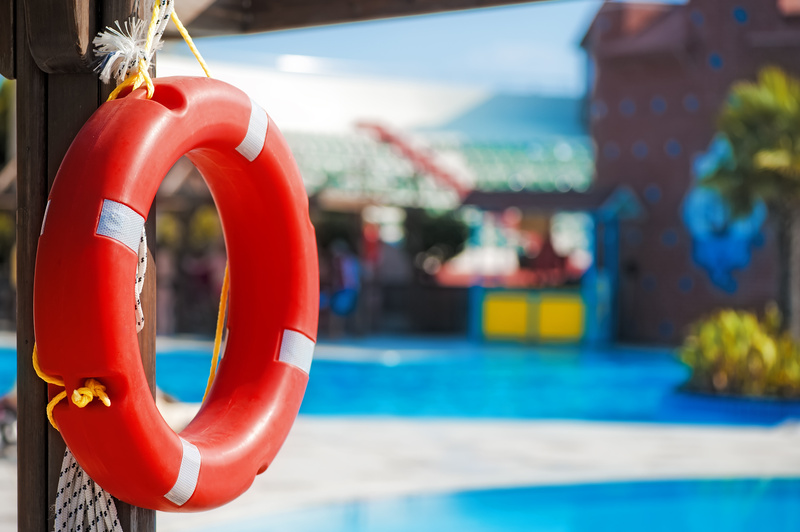 There are many dangers associated with swimming pools, but being electrocuted is usually not top of mind. It is important that you know where the switch is that controls the power to your pool area. Should a short occur, the danger will continue until the power source is turned off. The Sloans cannot bring back little Calder, but they are surely fighting to make swimming safer for everyone, including their 5-year old son, Caleb.